This weekend (Sunday December 2nd) was the first day of the new, expanded Early Morning Magic hard-ticket offering at the Magic Kingdom. Early Morning Magic began back in the Spring of 2016, as a hard-ticketed event providing early access to three Fantasyland attractions for an hour and fifteen minutes before the park opens to the public. It included breakfast at Pinocchio Village Haus, and was priced at $69 per person ($59 for children) plus tax. This version of the event ended on November 27, 2018, and an expanded version began on December 2, 2018. The new version offers access to 7 (yeah, seven) attractions in Fantasyland, and is priced at $79 per person ($69 for children) plus tax. The exclusive park time still starts an hour and fifteen minutes before opening, and the new version also includes breakfast, although now it’s hosted at Cosmic Ray’s Starlight Cafe. I never partook of the Early Morning Magic in its original incarnation, believing that there just wasn’t enough value with three attractions. So when the expanded offering was announced, I decided to give it a try to see whether I could derive enough value to justify the $79 price tag. A $10 increase in the price but four additional attractions puts the value proposition in a different ballpark. I’ll admit, I was still skeptical that there would be enough value to justify the cost, especially since you’re paying about three-quarters of the cost of a full-day park ticket, and you still need standard park admission in order to participate in Early Morning Magic. Check-in for the event begins at 7:30 AM at the Magic Kingdom turnstiles, adjacent to the check-in location for those with early breakfast reservations. Guests are given wristbands which admit them to Fantasyland; breakfast guests are only permitted to go as far as the castle or Crystal Palace and no further. You’ll see quite a few con-artists try to talk their way through, but cast were checking for wristbands thoroughly at checkpoints and again at attractions. Between 7:30 and 7:45 AM, guests are held at the train station, and then at 7:45 AM are permitted to proceed to Fantasyland. Entry to Fantasyland is only permitted via the bridge to Cosmic Ray’s, and there are cast members stationed there to check your wristband before allowing you to cross the bridge. Once in Fantasyland, all 7 attractions (Seven Dwarfs Mine Train, Prince Charming Regal Carousel, “it’s a small world”, Peter Pan’s Flight, Princess Fairytale Hall, Under the Sea, and Mad Tea Party) were literally a walk-on. For Peter Pan’s Flight, you never actually had to stop walking until you were seated in your pirate ship. At Seven Dwarfs Mine Train, they were actually holding trains until there were enough guests to fill all the cars. At Mad Tea Party, most runs only had 2-4 occupied tea cups. Under the Sea: Journey of the Little Mermaid was another omnimover where you didn’t have to stop in the queue at all, you could just walk straight onto the moving walkway and into the clammobile. In fact, some of the cast members looked as though they were living in an alternate universe, having never experienced their attraction with no guests in line. Our experience at Princess Fairytale Hall was almost as unbelievable. We were in the door and out the exit in less than three minutes. We actually spent more time snaking through the queue than we did in the room with Rapunzel and Tiana (although we only got pics, if you wanted autographs it would have taken slightly longer). My favorite part were the shortcuts set up that cut from the exits of attractions back to the queue. This meant you didn’t have to walk all the way back out of many attractions to ride them again, thus increasing the number of rides you can get in during the event. The event is advertised as taking place from 7:45 AM to 10:00 AM. In reality, the park opens to the public at 9:00 AM and so the attractions are overrun with day guests by about 9:01 AM. The only exclusive benefit after 9:00 AM is the breakfast at Cosmic Ray’s Starlight Cafe, which is still closed to the public. But this really doesn’t matter, because my party was able to do all 7 attractions, plus an additional two rides on Seven Dwarfs Mine Train, by about 8:45 AM. For good measure, we rode the Many Adventures of Winnie the Pooh with no wait when the park opened at 9:00 AM and then made our way to breakfast. While the breakfast at Pinocchio Village Haus was a buffet-style offering, the event breakfast at Cosmic Ray’s was a bit of a hybrid. Guests received a plate of hot food and a glass of juice at the counter (Bay 2 was initially the only one open, but by 9:00 AM Bay 3 had also opened). The Toppings Bar was converted to a continental buffet with pastries, oatmeal, yogurt, and charcuterie. This setup had the benefit of the hot food being hotter and fresher when received than it would be from a buffet, with the tradeoff being a minor wait at peak time (roughly 9:15 AM – 9:45 AM). The breakfast food was typical of most Disney counter-service offerings. Scrambled eggs, bacon, sausage, pancakes, and breakfast potatoes were all on par with my expectations for a counter-service location. Where this meal was a step above my expectation was at the Toppings Bar. Instead of lettuce and tomatoes, we were treated to fresh fruit, oatmeal, ham and salami, and two cheeses, plus croissants, cinnamon rolls, and non-colored Cheshire Cat Tails (a chocolate twisted pastry with icing). The chocolate in the twisted treat is a luscious dark chocolate, not too sweet, with a hint of sweetness coming from the icing. These were fantastic, and one might actually be able to eat enough of these alone to cover the cost of admission (the Cheshire Cat Tails retail for $4.99 at the Cheshire Cafe). Breakfast with Sonny Eclipse, the best way to start the day! But the highlight for me was the charcuterie plate. Both the ham and salami were quite good, and the cheeses were surprisingly decent as well. One was a sharp white cheddar, creamy but tangy, and the other was an aged gouda, crumbly and nutty (think Beemster). I can’t remember another time I’ve had cheese this edible in a theme park setting (except maybe at Epcot or DCA Food & Wine Festivals). I’ll readily admit I came into this event very skeptical that I’d see a value in the Early Morning Magic offering. After all, it’s basically the same as the Morning Extra Magic Hour that is free to Disney resort guests, plus a ~$15-20 counter-service breakfast. This is also on top of the required regular theme park admission. However, Early Morning Magic can be a tremendous value in many circumstances. If your goal is to ride Seven Dwarfs Mine Train and/or Peter Pan’s Flight with no wait or more than once, this is a great way to do it. If you have only one day in the Magic Kingdom and want to see and do everything, Early Morning Magic will give you a tremendous head start. 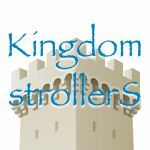 If your kids love Fantasyland and don’t want to do anything else in the Magic Kingdom, this will bring a smile to their faces (and to yours too). But if you have a week at Walt Disney World, and enough days planned in the Magic Kingdom to have gotten FastPass+ reservations for Seven Dwarfs Mine Train, Peter Pan’s Flight, Princess Fairytale Hall, and Winnie the Pooh, then Early Morning Magic probably isn’t necessary, but you may just want to try it for the incredible convenience. From a value perspective, I could go either way on this. Certainly the number of attractions in this new offering makes the proposition more compelling. Compared to the $50-per-person Theme Park Extras offering for Club-Level guests, which provides 3 FastPasses and a reserved viewing area for a nighttime spectacular, the $79 price point for Early Morning Magic seems reasonable, and when you add in the breakfast it makes it a pretty good deal. But I remember the days of “E-Ride Nights” where Disney resort guests could have an extra few hours in the Magic Kingdom for $10 per person, which makes Early Morning Magic and the Disney After Hours events seem like highway robbery. But nowadays, the Extra Magic Hours at the parks are so crowded that it’s almost no benefit in terms of accessing attractions with less wait, so Disney came up with this paid option which has an extremely low attendance cap. These are truly luxury offerings at the current price points, but then again, most Disney trips are luxury vacations at today’s prices. Those with adequate disposable income will certainly find the Early Morning Magic event a very calm but efficient way to cover almost everything in Fantasyland with the least amount of waiting and crowds possible (unless you buy out the park). 80 bucks for one land and some breakfast, plus you have to have your park ticket ($120-ish) for about an 1hr & a half?? Wow. Just wow. Even as a Disney fan, I can’t support this. And reminding me of the awesome E-Ticket Nights and it’s great price point definitely doesn’t help. LoL. I don’t think many lines back then were over 2 hours long. There were no lines over 2 hours before the horror of Fast Pass which created those wait times. It isn’t just FastPass that has caused that, there are way more guests and the parks have not expanded fast enough. Yes, more guests come to wdw and yes, they should have added more attractions without taking away attractions and built another park…. But fast pass still stands as the number one reason why longer lines have resulted. I can’t believe I’m saying this, but I partially agree with Randyland. Waiting in line 20+ years ago was definitely part of the experience and I never really had a problem with it at all. However, that was mainly because you rarely saw attractions with over 1 hour wait time, if even close to that, so I completely agree with you Tom. That being said, the creation of the FastPass has certainly been a factor in creating these insane wait times. It is and it isn’t. There’s also just way more people. Oh totally agree Tom. I don’t think it’s the only reason, but it certainly a contributing factor. I definitely don’t think the value is worth it. The more hotels Disney builds the more crowded EMH are going to be. There will be no benefit to EMH at all. This only works well if Disney limits the number of passes each day. You need to have every ride be a “walk-on” experience in order for it to be worth the $80/person. About 10 years ago, one of the best things about Mickey’s Not-So-Scary Halloween Party and the Very Merry Christmas parties was that there would often be far less people in the park during the parties (I don’t know whether this was intentional or not). That’s not the case anymore as it’s usually wall-to-wall people everywhere. Personally, I don’t find it’s worth attending those events anymore.